Hello, Hello, Hello! We hope everyone is having a marvelous Monday! This week’s Motivation Monday is focused on the pressure to perform. I’m sure you have all experienced high pressure situations throughout different areas in your life or career. Each of us deal with various degrees of pressure on a daily basis from our jobs, coworkers, bosses, family, friends, coaches, teammates, which makes a difference in the way we carry out a task. There are two ways you can perceive pressure: a hinderance towards your performance or as a way to enhance your performance. I discovered a sports psychology tip video on Youtube about a year ago and I thought it would be beneficial to share with you all. Dr. Haley Purlus has her Ph.D in Sports and Exercise Psychology and she reveals how pressure can heighten your performance. Overall, pressure is privilege because it means something is expected from you. While some expectations may be unrealistic or perhaps the time frame may be unrealistic, the pressures that are put on us are simply the reality of carrying out a responsibility. 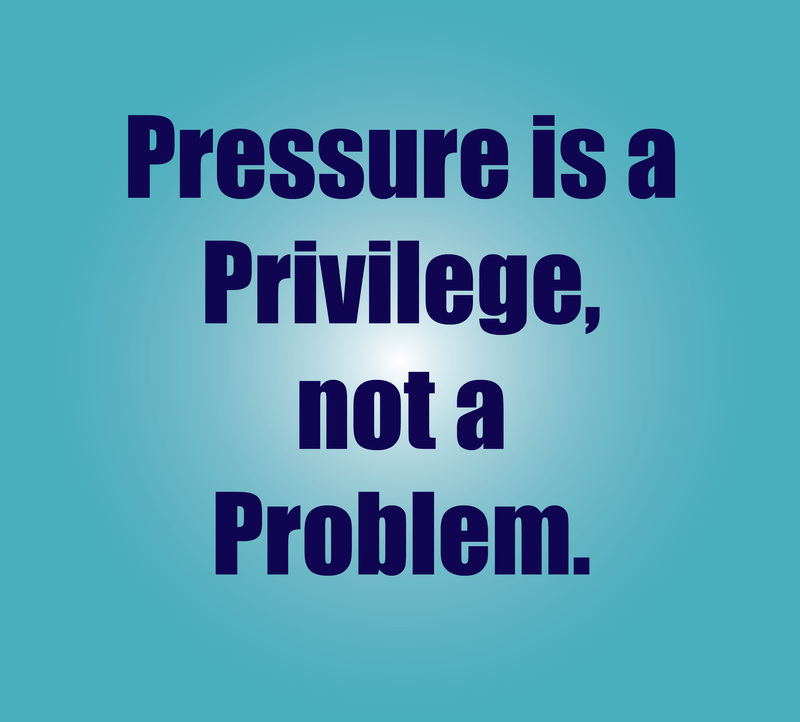 Pressure is an indication we have others depending on us to be the best we can be. And, they are doing so because we have previously proven we have what it takes to come through for them. So rather letting pressure get the best your ability let it enable you to reach a new level of performance.